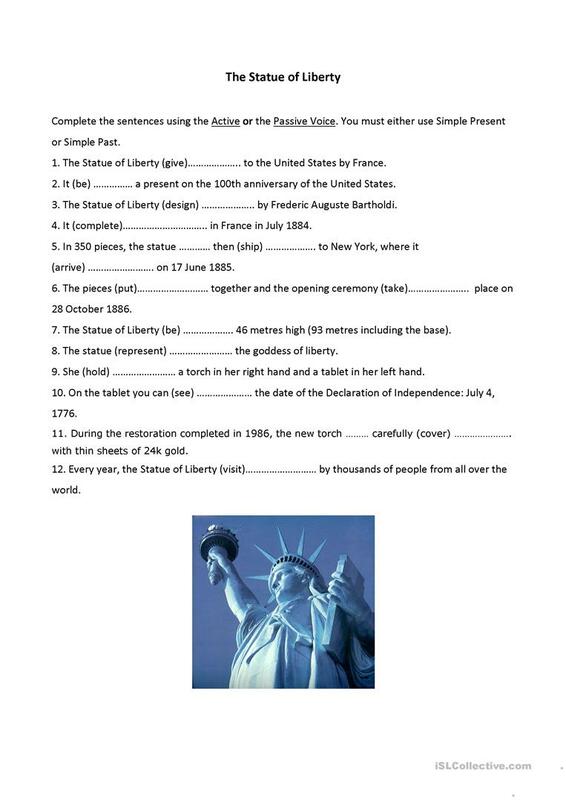 Passive and Active Voice gap filling activity about the Statue of Liberty. The present downloadable teaching material is best suited for adults at Pre-intermediate (A2) level. It is a useful material for teaching Passive voice or active voice in English, and is useful for enhancing your students' Writing skills. It focuses on the topic and words of Places. teacherdre is from/lives in Australia and has been a member of iSLCollective since 2012-10-09 04:06:22. teacherdre last logged in on 2013-02-21 08:02:19, and has shared 1 resources on iSLCollective so far.